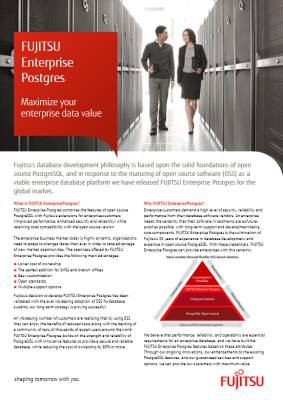 Fujitsu delivers FUJITSU Enterprise Postgres, an enterprise-ready version of PostgreSQL, plus a range of service and support options for standard PostgreSQL users. Download the brochure that matches your requirements, or contact our experts should you have any questions. 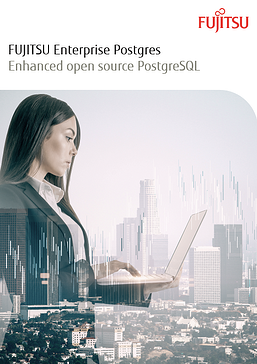 FUJITSU Enterprise Postgres is an enhanced distribution of open source PostgreSQL that delivers the performance, availability, and data protection required by today’s enterprise workloads. Its foundation is PostgreSQL, one of the most advanced open source database management systems (OSDBMS) in the world. This enterprise data management system provides effective solutions to common business challenges including security, speed, support and cost savings. Migrating your current database management system to either PostgreSQL or FUJITSU Enterprise Postgres seamlessly with our Migration Assessment and Data Migration services. With access to some of the world’s top PostgreSQL talent, we’re able to help optimise your database instances with our PostgreSQL Health Check and Operations Review. Our training courses are delivered by experts and best suited to personnel working in database management, high availability and replication, and application development. When access to data is business critical, put our highly skilled software support engineers on your side with a subscription to the Fujitsu PostgreSQL 24/7 support plan. 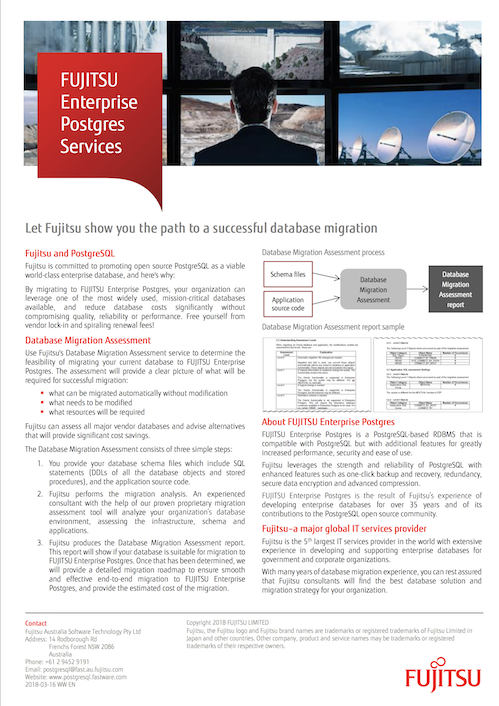 Use Fujitsu's Database Migration Assessment service to determine the feasibility of migrating your current database to FUJITSU Enterprise Postgres. Fujitsu has enhanced the community PostgreSQL platform with greater speed, security and support so our enterprise clients can maximise their data value. Fujitsu incorporated PostgreSQL open source into its enterprise data management platform to embrace the concept of open source software (OSS) first. Vertical Clustered Index (VCI) is the proprietary implementation of In-Memory Columnar Index by Fujitsu to significantly improve aggregation processing and support HTAP workload. It can result in up to 5x performance gains.